To see a true story of the Rwandan genocide that carries one on an emotional journey through the connectedness of 3 different families, true forgiveness & healing was amazing. Cinematically well done, not contrite, informative & very poignant storyline . I wanted to see it again with others but the next week it was no longer showing in my state. An excellent testimony of redemption and God's providence. Heartfelt and a must see movie. A demonstration of Genesis 50:20. Although you meant it to be evil, God meant it to be good, so lives could be saved. Very good. Educational.Inspiring. Builds your faith in God making bad things turn out good. Excellent. Not for kids. True story. Wonderful story. Thought provoking and inspiring. 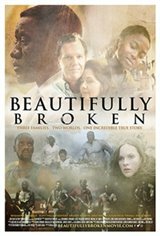 An Incredibly moving beautiful human story of sorrow, joy, redemption and love.. A searing, riveting tear jerker worthy of A repeat viewing. Uplifting! True account of a terrible time and how God overcomes hatred. Very moving! A total eye-opener! It definitely keeps the audience engaged!